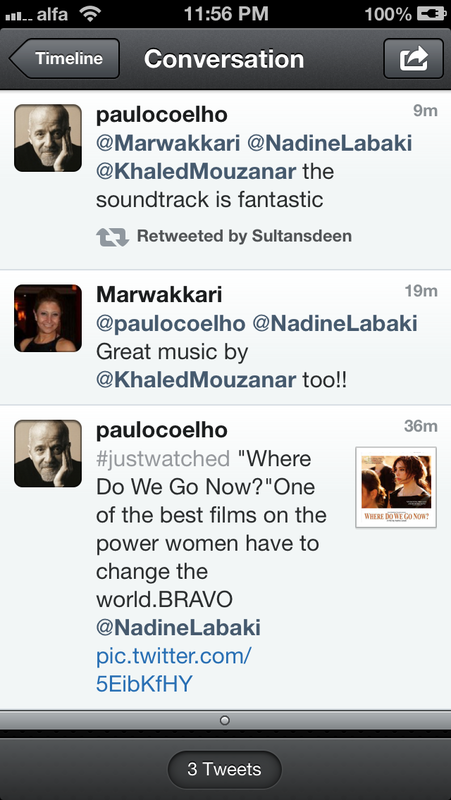 I’m not sure if I like the king of cliche making his love for Nadine Labaki’s hit movie, Where Do We Go Now, known but Paulo Coelho took it to twitter just now to let everyone know that he is a fan of Nadine Labaki’s 2011 movie which was a resounding success among audiences, even non-Lebanese ones, – less so among critics. Coelho even liked the soundtrack, which isn’t hard to imagine as the music is definitely well done. Ironically, the situation that sparked Where Do We Go Now happened way too many times in 2012. Hopefully Nadine Labaki won’t bother writing another movie where she invites Lebanese people from different religions (and more generally political) factions to love each other. The now-cliche aspect of Where Do We Go Now notwithstanding, I’m glad for the praise the movie just got even if it doesn’t mean much. I guess this is the first time someone as known as Coelho makes his liking for Lebanese cinema known. Hopefully some good Lebanese movies see the light of day this year. You can buy Where Do We Go Now on DVD and Blu-Ray if you want to watch it. The Hunger Games is probably one of the most anticipated movies of the year. And the movie delivers (read my review). With such standards, the need for a decent soundtrack becomes evident. The album’s producer T-Bone Burnett manages to do what he does best. The award-winning producer has come up with a very coherent album with a specific vibe and feel that doesn’t stray away from the movie’s theme. While listening to The Hunger Games‘ soundtrack, titled: The Hunger Games (Songs from District 12 and Beyond), you cannot but feel that this is an album that would have stood alone as a credible work without an accompanying movie. The fact that there’s a movie to it is just the cherry on top. It’s a folky, country album. It is mellow, somewhat subdued in parts and also defiant in others. The sound it holds varies between realism and shrieking for liberty. It switches between being soothing and calling for arms. It is a treat to listen to. Opening with an eerie battle for strength by Arcade Fire, in a song titled “Abraham’s Daughter,” the bar is set very high for the album. Driven by incessant military beat, the band sings in Biblical terms about the power of sacrifice. It is the song that plays as the movie’s credits start rolling. The album also features two songs by country superstar Taylor Swift, both of which are not the typical country pop sound she has become known for. Instead, Taylor has decided to let her sound grow on an album that is not hers. On “Safe & Sound” (full review of the song), she’s soothing, telling the character to whom she’s singing to “close your eyes, you’ll be alright. No one can hurt you now. Come morning light, you and I’ll be safe and sound.” On the other offering for Taylor in the album, the song titled “Eyes Open” (full review of the song), she is the exact opposite. “Keep you eyes open,” she incessantly repeats as if her life depended on it. New country band, The Pistol Annies with their frontwoman Miranda Lambert are present on “Run Daddy Run,” a folky song that’s very in the vein of what other country artists had given the soundtrack. It is reminiscent of the movie’s mood as well. “Daddy, can you hear the devil drawing near?” they sing with conviction. Young singer Birdy, known for her cover of Bon Iver’s “Skinny Love,” concludes the album with the chilling “Just a Game.” “There comes you to keep me safe from harm. There comes you to take me in your arms. Is it just a game? I don’t know. Is it just a game? I don’t know” she pleads. The album also features many other artists such as The Decemberists, The Secret Sisters, Neko Case, The Carolina Chocolate Drops, Punch Brothers, Jayme Dee and The Low Anthem. All of the 16 songs that make up the album help create a great companion for The Hunger Games. 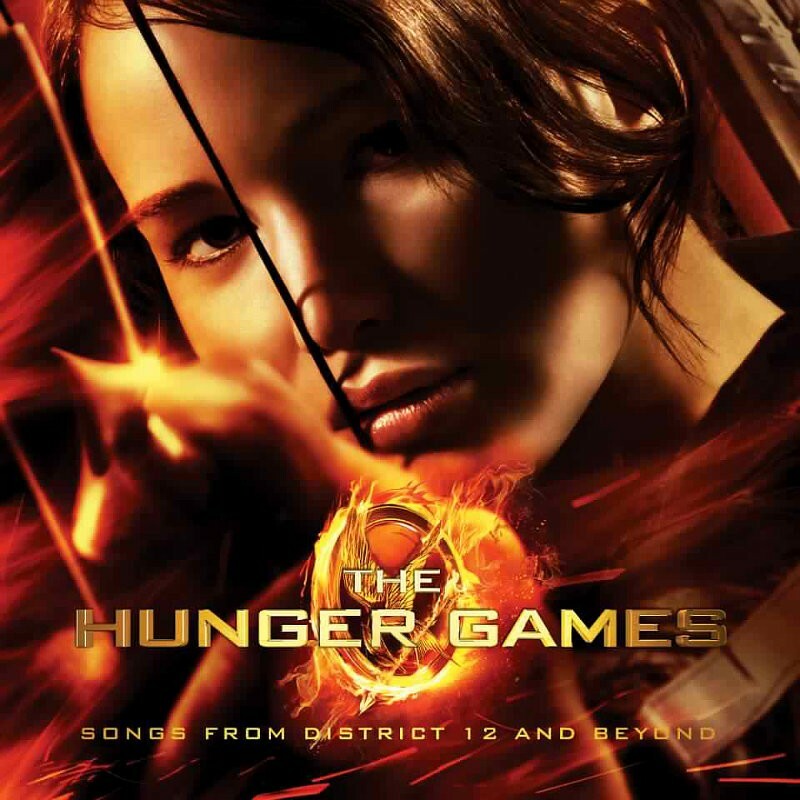 After watching the movie, you cannot but be certain that The Hunger Games‘ soundtrack fits the movie perfectly. While listening to the songs, you can close your eyes and imagine Katniss struggling for her life, arming her bow and shooting at her enemies. And in a way, the soundtrack does that. It shoots at musical conformity by giving you a composite sound different from most of the music you hear nowadays. And that is always certainly welcomed. Taylor Swift’s second submission to The Hunger Games‘ soundtrack album has just been released, ahead of the movie’s release in theaters next week. Where Safe & Sound was a reassuring song in the face of distress and fear, Eyes Open is the opposite in theme. Where the former tells a story of safety, the latter, with its prominent guitar, is almost the total opposite. And for a movie & book like The Hunger Games (my review of the book), Eyes Open is way more fitting. It has the energy, thrill and rush of the story all wrapped up in 4 minutes. I can imagine the song being played in the movie just before the tributes are taken into the arena because every single lyric uttered by Taylor fits that moment perfectly. “But turn around, they’ve surrounded you. It’s a showdown, and nobody comes to save you now.” According to Taylor, the song is a symbolization of Katniss’ rebellion against the Capitol. The song shows that as well. The melody is very catchy. It builds up, all to the backdrop of a strong guitar sound, before the song culminates in repetitions of “keep your eyes open” for further emphasis and eventually stops, as it should, right on top. There’s no outro cue. The song stops the way it starts, suddenly, because when the character’s lives are at stake, the only way a song describing the situation would work is by it being sudden and urgent. When it comes to Taylor Swift’s songs, she might be the only person able to sing them convincingly. Her vocal performance is always not perfect but the little flaws help to add to the song’s overall feel. When it comes to Eyes Open, the cracks here and there in Taylor’s voice contribute to the song’s overall mood of absolute urgency. Overall, Eyes Open is a great addition to Taylor’s repertoire. She shows her great songwriting abilities by the way she turns phrases and creates scenes in simple words, making it seem effortless in the process. I can’t wait to hear it in the movie. You can listen to Eyes Open here. I’ll post a YouTube link the moment Taylor’s label tones down the video-removing frenzy. 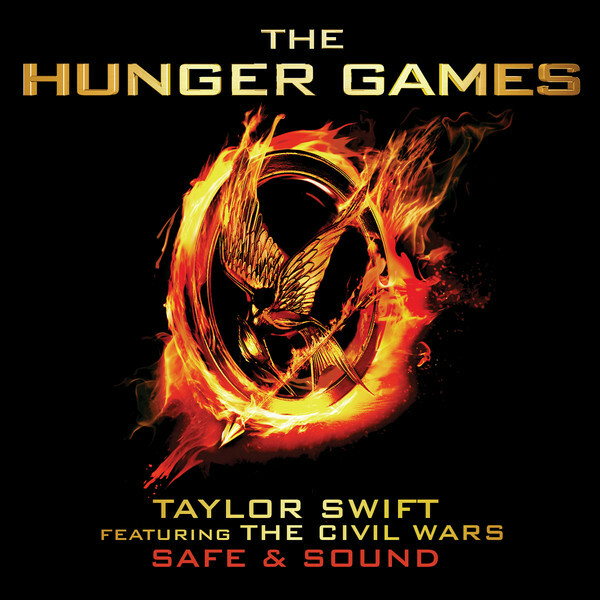 Taylor Swift’s Christmas present for her fans arrived in the form of a song titled “Safe & Sound,” which is serving as the lead single for one of 2012’s most anticipated movies: The Hunger Games. The moment Swift utters the first note, you know this isn’t like any song she has written before and it’s a very welcome departure from her previous works to a more mature, mellow musical sound. “Just close your eyes, the sun is going down. You’ll be alright, no one can hurt you now. Come morning light, you and I will be safe and sound” Swift sings on the chorus, with the hums of The Civil Wars, who are featured with her on the song, in the background only serving to increase the overall tense atmosphere of the song and make it more fitting of the movie it will be part of. For those who don’t know, The Hunger Games is based on a book of the same title and is set in a post apocalyptic world where there is very little hope, very little potential for a better life and where the young people of that world have to kill each other for the entertainment of their ruthless governing Capitol as part of the Hunger Games. Once you have that in your mind, it’s very easy to see how this song fits perfectly that atmosphere. You can easily imagine the characters of the book sitting around a campfire and singing this to maybe bring nonexistent strength to their spirit. “Don’t you dare look out your window, darling everything’s on fire. The war outside our door keeps raging on. Hold onto this lullaby even when the music’s gone,” Swift sings on the second verse with slightly more strength to echo a buildup in the song teller’s morale. The vocals are layered and icy while trying to echo the building fire inside. It simply works. The Civil Wars are more pronounced on the second verse onwards as their provide beautiful harmonies to Taylor’s singing, providing an eerie echo that resonates with the overall ethereal atmosphere painted in the song, adding to the folky sound the song has. Safe & Sound is dark. Safe & Sound is anything but safe and sound for a singer who has become more known for her tween hits than her better songs that never see the light of day on radio. Safe & Sound is here to show that Taylor Swift is truly one of this generation’s best songwriters – one who is able to craft an idea into a song that can fascinate you. She uses beautiful imagery and manages to create musical hooks out of the gloomiest of songs. Safe & Sound is no exception to that rule. Safe & Sound is the most grown-up Taylor Swift has ever been on song. This is one of the few songs she has where she doesn’t talk about boys, love, fairytales and broken romances. This is a song about life, about hardships – and she pulls it off brilliantly.